Anytime you take on the task of attempting to identify the most powerful, the richest, the most famous, the biggest, the best (you get the idea) or the most influential, you start with the standard bearer and build from there. With that in mind, the editors of Cannabis Business Executive (CBE) began constructing the first annual CBE 100, 6 months ago. So here we go, welcome to the first annual Cannabis Business Executive 100 (The CBE 100) which represents the 100 most influential people, including individuals from the business, political and regulatory arenas, that have driven the emerging Cannabis Industry to its current state the United States of America since marijauna was declared a schedule 1 drug at the advent of the War on Drugs back in the early seventies. 2014 has been a year of firsts for the industry with Colorado becoming the first state to legalize marijuana for adult use and Washington state following closely behind in July. Two other states, Alaska and Oregon, passed ballot initiatives to legally regulate adult use marijuana and the District of Columbia did the same. And, Florida fell just short of a super majority to become the first southern state to legalize medical marijauna this past election with nearly 58% of its voters supporting Amendment 2. The CBE 100 is comprised of both private and public sector individuals that have had the greatest impact on the Cannabis Industry. 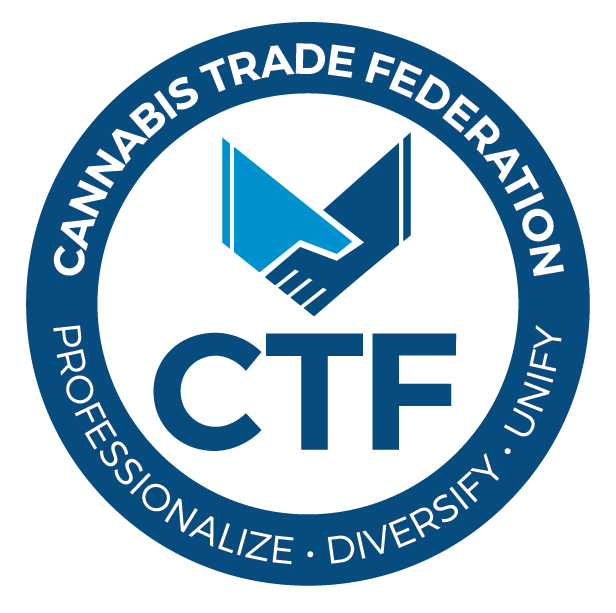 This year’s CBE 100 is heavily weighted towards political and activist members since cannabis is still illegal under federal law. CBE Press LLC believes that this balance will shift as the legitimate Cannabis Industry fully takes hold nationwide over the next several years and federal prohibition is finally lifted. This year’s list is heavily subjective, we fully expect that as the industry grows and prospers, the list will be much more quantitatively driven and comprised predominantly by the key business players that are following legitimate best practices and financial reporting while leading their companies to profitability in the years to come. Financial transparency and an opening up of federal banking laws will be an important component in establishing legitimacy for the cannabis industry and access to the capital markets. both the public and private sector that have led or obstructed the growing industry to this point in time. ”The CBE Political 50″ which is comprised of the top 50 most influential regulatory and public policy players. Congratulations to our Commander-in-Chief, President Barack Obama, CBE’s Person of the Year, for setting in motion the path to ending prohibition. Without the Ogden memorandum in 2009 and the Cole memo issued in 2013, the Cannabis Industry would not be at the point where it is today. According to ArcView Market Research, the industry will have generated close to $2.6 billion in revenues in 2014 and they projected that it will grow to nearly $10 billion over the next 5 years. CBE Press salutes all of the members of this years list (even those that have stood in the way of the inevitable) and looks forward to covering the industry in the years ahead. I look forward to your thoughts and comments! Congratulations to our Commander-in-Chief, President Barack Obama, CBE's Man of the Year, for setting in motion the path to ending prohibition. Without the Ogden memorandum in 2009 and the Cole memo issued in 2013, the cannabis industry would undoubtedly still be predominantly in the hands of the black market. Like all politicians, Mr. Obama has excited the proponents of ending the War on Drugs and prohibition of cannabis with his public comments, but he has yet to dive fully into backing legalization. He prefers the politically safe route of appealing to the largest base of political support in order to win elections and many younger voters feel that he hasn't done enough. With both houses of Congress in Republican hands, his window on seeing change to the federal scheduling of marijuana is coming to a close. deceased Republican Mr. Nixon started the costly War on Drugs which effectively reinforced prohibition and set in place one of the most costly (in the form of incarcerated human capital and tax dollars spent), failed government programs in the nation's history. Under his watch, marijuana has been designated as a schedule 1 drug equating it with heroin and LSD with no recognized medicinal value. And, even after commissioning a predominately conservative group to measure the impact of his new policy, "Marihuana: A Signal of Misunderstanding." he ignored their prophetic findings and pushed on with his War on Drugs until resigning the presidency. His legacy lives on federally and to this day is the biggest impediment to decriminalization and legalization in the US. 3 Ethan Nadelmann Founder & Executive Director, Drug Policy Alliance (DPA) Public Policy DPA was primarily responsible for California’s 1996 landmark medical marijuana law, Proposition 215, which made cannabis available to ill patients as well as reduced criminal penalties for possession. DPA continued to weigh in on drug policy legislation with Proposition 215 in Alaska in 1998, Oregon in 1998, Washington in 1998, Maine in 1999, Colorado in 2000, Nevada in 1998 and 2000 and New Mexico in 2007. Mr. Nadelmann has led its efforts since founding the organization in 2000. The intro to his bio on DPA's website says it all. Described by Rolling Stone as "the point man" for drug policy reform efforts, Ethan Nadelmann is widely regarded as the outstanding proponent of drug policy reform both in the United States and abroad. Activist, Entrepreneur, Business Owner Steve is, in CBE's opinion, the leading business man in this year's CBE 100 because of all he has accomplished as an activist, visionary, entrepreneur, investor, mentor and supporter of ending prohibition. With Harborside Health Clinic, he has provided a badly needed, quality service to medical marijuana patients and was a pioneer in helping develop Steep Hill Labs, one of the first medical cannabis analysis laboratories in the US. In addition to setting the standard for best practices while helping numerous others get started in the industry, he is the founder of the venture capital firm, The ArcView Group and has has invested in multiple industry businesses. 5 Keith Stroup Founder, NORML Lawyer/Activist Keith started NORML in the early 70's with the clear mission of ending prohibition and helping those that have run a foul of state and federal laws. Under his guidance, NORML has grown over the past 40 plus years to be the leading advocate against the War on Drugs. He is a recipient of the Richard J. Dennis Drugpeace Award for Outstanding Achievement in the Field of Drug Policy Reform presented by the Drug Policy Foundation. After passing the torch on to others, Keith still fights for the cause as NORML's Legal Counsel. 6 John Hickenlooper Governor of Colorado Democrat This controversial Governor has overseen the implementation of Colorado's Amendment 64, which legalizes the adult personal use of cannabis and calls on state lawmakers to enact regulations licensing its commercial production and sales. He is personally on the record as being against the legalization of adult use marijuana. The Governor and his public and private sector teams have successfully, to date, rolled out a model legalization program that is helping disprove many of the pro prohibition arguments about cannabis while filling the state coffers with substantial tax revenues and likely savings from the state's law enforcement and incarceration budgets. He narrowly won this week's re-election bid. 7 Jay Inslee Governor of Washington Democrat With the popular vote approving Initiative 502, Washington became the second state to legalize marijuana. Although against I-502, Governor Inslee has overseen a program that is licensing businesses through the state liquor board, to produce, process and distribute cannabis to adults 21 and older. This approach cuts the doctor out of the decision-making loop for potential consumers but poses another challenge that Inslee's team and the legislature must solve quickly, the licensing and regulation of the medical marijuana dispensaries that until now have existed under local regulations. 8 John Davis Founder, Northwest Patient Resource Center Activist, Entrepreneur, Business Owner, Policy Expert For the past 20 years, Mr. Davis has fought in the trenches and with his wallet and business interests (not to mention sticking his neck out nationally!) to work diligently to end prohibition in his home state, Washington and on a national level. In addition to being the Chairman of Seattle Hempfest, John is the founder of the Coalition for Cannabis Standards and Ethics, a board and founding member of the NCIA and a leading policy expert working on international cannabis policy reform. 9 Allen St. Pierre Executive Director, NORML Activist, Public Policy, Lobbyist Mr. St. Pierre assumed the reigns at NORML in 2001 and has spent the last 23 years tirelessly pursuing its mission statement from both a grassroots perspective (NORML now has over 150 active chapters around the US and the world) and by being a highly visible media spokesperson on the benefits of ending prohibition and changing the policies of the US Justice system. 10 Rob Kampia Co-Founder and Executive Director, Marijuana Policy Project (MPP). Increase public support for non-punitive, non-coercive marijuana policies, Identify and activate supporters of non-punitive, non-coercive marijuana policies, change state laws to reduce or eliminate penalties for the medical and non-medical use of marijuana, and gain influence in Congress. Under his leadership, MPP's contributions in Alaska & Oregon were instrumental in this year's mid-term elections as were MPP's efforts and dollars contributed to many other ballot initiatives, especially Colorado. 11 George Soros Chairman, Soros Fund Management Financier/Activist Soros has long been an advocate of the end of the War on Drugs. Known by many as “The Man Who Broke the Bank of England” and for his strong dislike of George W. Bush, George Soros has been a huge financial supporter in the fight to legalize medical marijuana. He has contributed towards bills in Massachusetts, Alaska, Oregon, California, Colorado, Washington, Maine and Nevada. Drug Policy Alliance, the cannabis legalization organization, receives roughly $4 million a year from the billionaire financier. 12 Tripp Keber CEO, Dixie Elixirs and Edibles Edibles & Infused Manufacturers Dixie Elixirs and Edibles is the top licensed marijuana infused products manufacturer in Colorado. Tripp Keber is the co-founder of Dixie and the CEO of Dixie Brands, Inc. The Villanova grad is also a founding member and Board Director of the National Cannabis Industry Association. Since 2013, he has also served as a Board Member on the Marijuana Policy Project and as an Advisory Board member of the Medical Marijuana Industry Group in Colorado. From a philanthropic perspective, Keber has contributed to the research and development of cannabis support for veterans with PTSD. 13 Troy Dayton CEO, The ArcView Group Venture Capitalist, Activist, Entrepreneur Mr. Dayton is the CEO of The ArcView Group, one of the first industry venture capital groups, co-founder of Students for Sensible Drug Policy, a founding board member of National Cannabis Industry Association and board member of the Marijuana Policy Project. He was also the first sales director at Renewable Choice Energy, the number one green power provider named by the EPA. At ArcView, Dayton, along with Steve DeAngelo, created the first venture capital fund for legal marijuana businesses to connect to with investors over the web. 14 Brendan Kennedy CEO, Privateer Holdings Venture Capitalist, Entrepreneur Privateer Holdings has funded several ongoing concerns in the emerging cannabis industry including, Leafly, Lafitte Ventures, Arbormain and Tilray. Kennedy and his partners make up the powerful trio of MBAs whose combined experience in Private Equity, Technology, Sales & Marketing and Operations make Privateer a formidable industry player. 15 Jose Mujica President of Uruguay Leader of the Broad Front Coalition Jose Mujica is known as “the world’s poorest president.” He gives 90% of his salary to charities representing the poor and small entrepreneurs. Since becoming President in 2010, he has legalized marijuana and gay marriage. The decision to legalize marijuana was motivated by Mujica's desire to take the money out of the cartels hands and cut down on violence. Though many oppose his position to legalize on the national level, he has received great praise from many outside of his country. 16 Dr. Nora Volkow Director, National Institute on Drug Abuse (NIDA) Federal Agency Since 2003, Dr. Volkow has led NIDA. The career bureaucrat, who served her psychiatry residency at NYU, is an expert on addiction and fervently opposed to the end of prohibition. She has been a road block to efforts to balance the research about the efficacy of cannabis while pursuing any and all avenues to perpetuate the federal government's prohibition rhetoric and stance. 17 Eric Holder United States Attorney General Democrat The controversial Attorney General is the first African American to hold the position and one of the last remaining original members of the Obama administration. In 2010, upon California’s Proposition 19 vote, Holder said the DOJ would continue to prosecute on the federal level for marijuana related crimes regardless of the outcome. However, after the issuance of the Ogden and Cole memos, Holder and the Department of Justice have reversed course and pulled resources aimed at state regulated legal and licensed marijuana businesses. Holder has recently resigned his position but is staying on until a successor is appointed. President Obama nominated Brooklyn federal prosecutor Loretta Lynch this past week as Holder's replacement. 18 Richard Lee Activist/Founder, Oaksterdam University Training & Education Richard Lee is the founder of Oaksterdam University, an unaccredited college offering classes on politics and legal issues in regard to marijuana, horticulture, cooking with cannabis, business management and entrepreneurship. He has been an legalization activist since 1992 and was the chief promoter of California’s Proposition 19. Currently, he runs medical marijuana programs in downtown Oakland, CA. 19 Dr. Sanjay Gupta Chief Medical Correspondant, CNN TV Journalist, Neurologist As one of the most recognized neurosurgeons in the world, he has won multiple Emmy awards as CNN’s chief medical correspondent, worked as an advisor to Hillary Clinton in the 90s, was offered the position of Surgeon General of the United States in the Obama administration and was named “one of the 10 most influential celebrities” by Forbes magazine in 2011. After initially dismissing marijuana’s medical value, Gupta reversed his position in 2013 and issued an apology. He is now an advocate of the medical value of cannabis and released a documentary entitled, “Weed” to explain it’s benefits. deceased Activist, Publisher A former drug smuggler, Gary Goodson, aka Tom Forcade, founded the leading marijuana advocate magazine High Times in 1974. By 1977, High Times was printing more than 500,000 copies per month and had revenues near $10 million. Though he died in 1978, he left trusts to benefit both High Times and NORML. High Times is now in its 40th year of publishing and is enjoying a revenue resurgence thanks to state legalization. 22 Aaron Smith Executive Director National Cannabis Industry Association Activist, Lobbyist & Public Policy Aaron Smith is the co-founder and executive director of the National Cannabis Industry Association. Prior to his work with the NCIA, Smith was part of the California based, medical cannabis advocates group, Safe Access Now and became the California State Policy Director of the Marijuana Policy Project. 23 Andrew Cuomo Governor of New York Democrat Following in his father's footsteps as the Governor of NY, Cuomo, former U.S. Secretary of Housing and Urban Development, signed into law New York's Medical Marijuana program in July that allows for consumption of marijuana but only in a non-smoking form. 24 Gary Ross CEO, O.penVAPE Consumption Gear O.penVAPE has quickly become one of the largest brands in the cannabis industry by providing a superior vaporizing pen with a lifetime warranty. By partnering with Organa Labs, O.penVAPE is able to offer medical marijuana patients and adult-use customers healthier alternatives to smoking and edibles, which are consistent and free of harmful chemicals found in other vaporizing products. 25 Dale Sky Jones President & CEO Oaksterdam University Training & Education, Activist In addition to her duties at Oaksterdam, Ms. Jones is the Chairwoman of the Coalition for Cannabis Policy Reform and was the spokesperson for the failed 2010 Proposition 19 initiative in California to legalize marijuana. Ethan Nadelmann said, " no question that Prop 19 had a fundamentally transformational effect-- it legitimated discourse about marijuana" and probably set the path for legalization in Colorado. 26 Jorge Mario Bergoglio Vatican Pope Francis Catholic Leader In addition to working tirelessly to end corruption in The Vatican, Pope Francis is an outspoken critic of the Pro-Cannabis legalization movement worldwide. This past summer at the International Drug Enforcement Conference, he said, "The scourge of drug use continues to spread inexorably, fed by a deplorable commerce which transcends national and continental borders. Attempts, however limited, to legalize so-called 'recreational drugs,' are not only highly questionable from a legislative standpoint, but they fail to produce desired effects." 27 Stephen Harper Prime Minister, Canada Conservative Party Harper is a staunch anti-marijuana advocate who has fought with Justin Trudeau's Liberal party for control of public policy in Canada. With medical marijuana legal federally in Canada, the Conservative Party fights MMRP at every step. 28 Enrique Pena Nieto President, Mexico Institutional Revolutionary Party Despite personally being against legalizing cannabis in Mexico, President Nieto has opened the door to changing policy when he expressed in June that the US and Mexico could not follow divergent paths and that the policies of the last 30 or 40 years have failed. Marijuana has been a staple source of income for violent drug cartels in Mexico. 29 Scott Van Rixel Founder, Bhang Chocolates Edibles & Infused Products Mr. Van Rixel is an entrepreneur, certified chef and master chocolatier who has built one of the most trusted brands in the edible and infused cannabis industry. Bhang's products are distributed in 5 states and 2 countries and they raised $65 million of Private Equity earlier this year with Mentor Capital. Mr. Fox has spent the last 12 years fighting for an end to prohibition in a variety of roles with MPP, as Executive Director of Safer Choice ("Marijuana is safer than alcohol, it's time we treated it that way"), as campaign director for Amendment 64 in Colorado and as a founding member of the NCIA. With VS Strategies, Fox has allied with Vicente, Sederberg to help the industry grow and prosper. One of his latest initiatives involves changing the banking laws to help licensed industry businesses operate on an even playing field. 31 Michelle Leonhart Administrator, Drug Enforcement Administration (DEA) Federal Agency As head of the DEA, Ms. Leonhart has led the agency's stonewalling efforts to remove marijuana from schedule 1 of the Controlled Substances Act and has chided the President for his stance on cannabis legalization. She has also consistently turned down research requests regarding the therapeutic and medicinal benefits of marijuana. 32 Dr. Steven Siegel CEO, Bio Track THC Seed to Sale & POS Software Dr. Siegel is a serial entrepreneur, his current venture, Biotrack THCis a division of Bio-Tech Medical Software, Inc. out of Florida. BioTrackTHC, is powering the Washington State Marijuana Traceability System. 33 Andy Joseph President & CEO, Apeks Supercritical Extraction Equipment Based out of Ohio, US Navy Veteran Andy Joseph and Apeks Supercritical design and manufacture botanical oil extraction equipment. While Joseph never intended to get involved the cannabis industry, he says it “came to (him).” Apeks CO2 extraction system is a top seller in the industry used by edible and infused product manufacturers in 18 states across the US. 34 Chris Christie Governor of New Jersey Republican Like his good friend, Governor Hickenlooper in CO, Christie inherited implementation of New Jersey's medical marijuana program that has floundered under his administration. An outspoken critic of Colorado and marijuana legalization, the potential 2016 Republican Presidential nominee has declared that marijuana will never become legal in his home state under his watch. 35 Gary Johnson CEO, Cannabis Sativa Edibles & Infused Products Former Governor of New Mexico and Libertarian Party presidential candidate in 2012, he began his political career by running for Governor of New Mexico in 1994 with a fiscally conservative, low-tax libertarian slate. Upon re-election to a second term in 1998, during his second term, he concentrated on campaigning for marijuana decriminalization and legalization. Medical marihuana became legal in New Mexico in 2007. 36 Jared Polis US Representative, Colorado Democrat Along with Earl Blumenauer, he has sponsored bills to de-federalize marijuana policy and create a framework for the federal taxation of cannabis. Polis’ Ending Federal Marijuana Prohibition Act would remove the Drug Enforcement Agency’s authority over marijuana and allow states to choose whether to allow marijuana for medicinal or adult use. 37 Earl Blumenauer US Representative, Oregon Democrat Along with Jared Polis, Blumenthal has sponsored bills to de-federalize marijuana policy and create a framework for the federal taxation of cannabis. Polis’ Ending Federal Marijuana Prohibition Act would remove the Drug Enforcement Agency’s authority over marijuana and allow states to choose whether to allow marijuana for medicinal or adult use. And like his friend and colleague, Blumenthal woke up this past Wednesday morning knowing that adult use marijuana has passed the state's ballot initiative. 38 Lance Ott CEO, Guardian Data Systems Payment Processing With 14 years in the payment processing industry, Mr. Ott is a merchant banking services expert. At Guardian, which was started to provide best of class financial services to the cannabis industry, he is known for his commitment to the cause of medical marijuana and alternative medicine as well as his acumen regarding the regulatory environment, technology and the need for transparency and credibility for the growing industry. 39 Ed Perlmutter US Representative, Colorado Democrat Along with Denny Heck, Perlmutter has led bi-partisan efforts to change federal banking laws that protect industry business owners and federally insured banks. Most recently the Perlmutter/Heck/Rohrbacher Amendment passed the house blocking the SEC and Treasury Department from spending money to penalize banks and other financial institutions for working with pot businesses that do not break state laws. 40 Denny Heck US Representative, Washington Democrat Along with Ed Perlmutter, Heck, has led bi-partisan efforts to change federal banking laws that protect industry business owners and federally insured banks. Most recently the Perlmutter/Heck/Rohrbacher Amendment passed the house blocking the SEC and Treasury Department from spending money to penalize banks and other financial institutions for working with pot businesses that do not break state laws. The mission of TRiQ is to be the leading innovator of equipment and technologies for the modern cannabis cultivation, processing and manufacturing industry worldwide. Matt has tirelessly led his company in pursuit of this agenda trade show by trade show. 42 Dannel Malloy Governor of Connecticut Democrat Since being elected Governor, Malloy has overseen Connecticut's efforts to decriminalize possession of marijuana and instituted the state's medical marijuana program that went live this year. Although a progressive, Malloy does not support the full legalization of adult use cannabis, he was narrowly re-elected this past Tuesday. 43 Amy Poinsett & Jessica Billingsley Co-Founder & CEO & COO, MJ Freeway Business Solutions Seed to Sale Software The leading provider in hosted software for the marijuana industry, MJ Freeway is a women owned company which features a premium business platform with patent-pending inventory control and grow management applications. MJ Freeway delivers cloud-based point of sale systems with patient and financial record management, guaranteed state-specific regulatory compliance, and multiple integrations with social networks, testing labs, and locator services, accessible to any marijuana business with a computer and a web connection. A recent software upgrade implementation has not gone well severely effecting customer sales and revenues. The two leaders must rise to the occasion as the space they operate in has gotten more crowded. 44 Dana Rohrabacher US Representative, California Republican Rohrabacher introduced the Respect State Marijuana Laws Act in 2013 which would prevent the federal government from continuing to prosecute residents who are acting in accordance with their state’s marijuana laws. The bill would legalize marijuana at the federal level to the extent it is legal at the state level. “This bipartisan bill represents a common-sense approach that establishes federal government respect for all states’ marijuana laws,” says Rohrabacher. “ It does so by keeping the federal government out of the business of criminalizing marijuana activities in states that don’t want it to be criminal.” More recently he co-sponsored a bill with Congressman Perlmutter and Heck (see above) that passed the house. 45 Max Cohen Owner, The Clinic Cultivator, Dispensary The Clinic owns 6 medical and adult use dispensaries and grow facilities in the Denver metro area. They are the winners of multiple awards for their products, services and philanthropic efforts. 46 Michael Kennedy, Esq. CEO of High Times and the High Times Growth Fund Publishing, Venture Capital Mr. Kennedy, a criminal defense lawyer, became involved with High Times 40 ago year's defending Gary Goodson and has improbably ended up as its controlling owner. Under his leadership, the company has seen its readership, online viewership, its events group (Cannabis Cup) and revenues explode as legalization moves across the country. Kennedy and 2 partners launched the High Times Growth Fund this summer. 47 Christian Sederberg, Esq. Lawyer/Partner, VincenteSederberg LLC Legal A member of Colorado Governor John Hickenlooper’s Amendment 64 Implementation Task Force, Mr. Sederberg began his legal career in 2005. He has focused on business law and represented many industry businesses including negotiating the purchase and sale of a number medical marijuana businesses, negotiating and documenting the transfer of medical marijuana facilities, drafting leases, subleases, employment contracts (on behalf of both growers and medical marijuana business owners), partnership agreements and operating agreements and representing individuals and businesses in front of the Colorado Medical Marijuana Enforcement Division. VicenteSederberg LLC is the first national law firm specializing in marijuana law full-time with offices in Denver and Medford, MA. 48 Brian Vicente, Esq. Lawyer/Partner, Vincente Sederberg LLC Legal Vicente served as the co-director of the Amendment 64 campaign is chair of the Denver Mayor’s Marijuana Policy Review Panel, serves on the Colorado Department of Revenue Medical Marijuana Oversight Panel, and coordinates the Colorado Bar Association’s Drug Policy Project. He was awarded the prestigious Gideon award for his free speech advocacy during the 2008 Democratic National Convention and was selected as “Freedom Fighter of the Month” by High Times magazine. VicenteSederberg LLC is the first national law firm specializing in marijuana law full-time with offices in Denver and Medford, MA. 49 Barbara Lee US Representative, California Democrat Since being elected to Congress in 1998, The Congresswoman has been a strong proponent of safe communities, affordable housing, the homeless, low income energy assistance, job training, making health care affordable and universal, just immigration policies, the establishment of a living wage, and protection of the right of women to make decisions about their reproductive health. Lee has also supported the efforts to loosen federal banking regulations, including promoting Fincen guidelines. Additionally, along with Californian Republican Dana Rohrabacher, she helped pass legislation that increases funding for the Second Chance Act that prohibits the use of funds by the Department of Justice to prevent states from implementing their own state laws that authorize the use, distribution, possession, or cultivation of medical marijuana. 50 Ed Rosenthal Master Gardner Level III, Quantum 9, Horticulturist, Author, Publisher, Entrepreneur Consultant, Activist Rosenthal's career has included stints as an author (he wrote for High Times in the 80's and 90's), Horticulturist (he is one of the most renowned expert growers of marijuana and wrote one of the first marijuana cultivation books almost 40 years ago. Mr.Rosenthal has been active in promoting and developing policies of civil regulation for medicinal marijuana. With the passage of California's pioneering Proposition 215 in 1996, which authorizes medicinal use of marijuana, he worked with the state and local governments to implement the delivery of pharmaceutical-grade cannabis to patients with a doctor's recommendation. 51 Justin Gover CEO, GW Pharmaceuticals Pharmaceutical GW Pharmaceuticals was founded in 1998 and is listed on both the NASDAQ Global Market (GWPH) and AIM, a market of the London Stock Exchange. GW is licensed by the UK Home Office to work with a range of controlled drugs for medical research purposes. The Group's lead programme is the development of a product portfolio of cannabinoid prescription medicines to meet patient needs in a wide range of therapeutic indications, including Sativex® Oromucosal Spray and Epidiolex® for childhood epilepsy. 52 Ean Seeb Co-Founder, Denver Relief Cultivator, Dispensary, Consultant Seeb is the chairman of the NCIA, and a cause based marketer/activist who together with partner Kayvan Khalatbari, a serial entrepreneur, and Nick Hice, master grower, has gained attention for their professional operation and willingness to give back to the community. He launched the Green Team in 2009, the group now provides free labor for volunteer farms and gardens, free food for estranged youth, and free hygiene products for homeless community members. 53 Rand Paul US Senator, Kentucky Republican An outspoken advocate for Industrial Hemp, Paul is a potential Republican candidate for President in 2016. In the meantime he has helped ratchet up the national debate regarding cannabis prohibition by introducing bills in the US Senate this past summer protecting the states that have implemented medical-marijuana laws—as well as the patients and doctors acting in accordance with them—from federal prosecution. 54 Steph Sherer Executive Director, Americans for Safe Access (ASA) Public Policy Steph Sherer is the founder and executive director of the nation's leading medical cannabis patient advocacy organization. She has built ASA into an organization with 16 active ASA chapters and a grassroots base of over 50,000 members. She also works with American Herbal Products Association (AHPA), to help establish regulations for the medical marijuana industry. 55 David Bronner President, Dr. Bronner's Magic Soaps Edible & Infused Products David is a grandson of Dr. Bronner and President of Dr. Bronner’s Magic Soaps. He pioneered the use of 100% recycled or hemp packaging; led the initiative to certify Dr. Bronner's soaps, lotions and balms under the USDA National Organic Program; and coordinates certified fair trade projects for all major ingredients. David was the main coordinator of the Hemp Industries Association’s successful litigation against the DEA to protect sales of Hemp foods and body care in the United States. He is a board member of HIA, Vote Hemp, the Multidisciplinary Association of Psychedelic Studies, and the National Cannabis Industry Association and works to bring back hemp farming in the US. Democrat In his short US Senatorial stint, the former Newark mayor has co-sponsored a bill with Rand Paul. The Amendment Seeks to Protect 32 States With Medical Marijuana Laws from Federal Interference. He is also stirring up the debate with Governor Christie regarding the state's less than sterling medical marijuana system. 57 Dan Williams CEO, Canna Security America (CSA) Security & Compliance Mr. Williams founded Canna Security America (CSA) in 2009 intent on making it the premier national security solutions provider for the medical marijuana industry. Dan has created brand-specific security standards, coordinated national system implementation installations, and managed roll-outs from inception to completion often running up to seven separate installation teams each day, actively working in different parts of the country. When Dan Hartman, former Director of the Colorado Medical Marijuana Enforcement Division, asked Dan to adapt the Colorado security regulations for the medical marijuana industry in 2009, he saw an immediate opportunity for an industry-specific solutions provider in an emerging industry. 58 Leslie Bocskor Managing Partner, Electrum Partners and Electrum Advisors Hedge Fund Leslie Bocskor is an investment banker, entrepreneur, founding Chairman of the Nevada Cannabis Industry Association, and a member of The ArcView Investor Network. He and his partner Gordon Katz, are currently rolling out a Hedge Fund devoted to the Cannabis Industry. 59 Sean Campbell CEO, Blue Line Protection Group Security & Compliance Blue Line Protection Group provides secured transportation, state and federal regulatory compliance, security consultation and training, and professional protection services to high-value asset industries. The company's security operators, investigations personnel and consulting staff are highly trained professionals with significant experience in law enforcement and the United States armed forces. Sean is also a Managing Director MKM Capital Advisors LLC. 60 John Kitzhaber Governor of Oregon Democrat In his third term as the Governor of Oregon, Kitzhaber has said he would sign the marijuana initiative into law to set up a regulatory system and make Oregon the third state in the Union to legalize recreational marijuana use. Mission accomplished. 61 Alison Holcomb Criminal Justice Director for the ACLU of Washington Legal, Activist After working on Initiative 75, which made marijuana enforcement the lowest priority for the Seattle Police Department Ms. Holcomb was one of the architects of Washington State's comprehensive I-502 bill and campaign. As reported last week by the NY Times, she has recently accepted a new position to head-up the new ACLU political campaign, financed by George Soros’s Open Society Foundations, to slash an incarceration rate that has tripled since 1980. There are currently some 2.2 million prisoners in the United States. 62 Valerie & Mike Corral Executive Director & Co-Founder, Wo/Men's Alliance for Medical Marijuana (WAMM) Activist and Public Policy Valerie and Mike Corral received the High Times Freedom Fighter of the Year Award in 2003 for their tireless efforts to legalize medical marijuana.They co-founded WAMM in 1993 and Valerie was a key-player in the crafting and passage of Proposition 215 (also known as the Compassionate Use Act of 1996), which allowed patients with a doctors recommendation to use marijuana medicinally. 63 Patrick McManamon Founder & President, Cannasure Insurance Services Insurance In an industry where getting insurance is tricky and less than a sure thing, McManamon started Cannasure Insurance Services in 2010 with The ArcView Group to focus exclusively on the cannabis industry. “The reluctance of most major insurers to offer coverage for marijuana businesses, combined with a requirement in many states that marijuana operators have proof of insurance, has created a business opportunity” for McManamon, says The Wall Street Journal's Risk & Compliance Journal blog. 64 Rick Scott Governor of Florida Republican Signed into law Florida's CBD-only bill in June but he opposed the Amendment 2 ballot initiative that required a 60% super majority for passage. Amendment 2 was narrowly defeated this past Tuesday and Scott was re-elected. 65 Patricia Rosi CEO, Wellness Connection of Maine (WCM) Medical Dispensaries Heads up WCM which owns 4 of the 10 licensed non-profit dispensaries after helping build Pierce, an Omnicom promotion agency, in Maine. 66 Jan Schakowsky US Representative, Illinois Democrat Schakowsky co-sponsored the States' Rights to Medical Marijuana Act, is a pro hemp advocate and a big supporter of Illinois' medical marijuana initiative. Schakowsky is among 18 U.S. Representatives who sent a letter in February of this year to President Obama asking him to direct Attorney General Eric Holder to remove marijuana from the most restrictive list of banned substances. 68 Brooke Gehring Managing Partner. Patients Choice of Colorado Dispensary and Cultivation In addition to being the Managing Partner at Patients Choice which owns 4 dispensaries and 2 large grow facilities in CO, Ms. Gehring is heavily involved in legislative regulatory framework in the state. She is also an Executive Board member of MIG and a sustaining member of the NCIA. 69 Tom Bollich CEO, Surna Inc. Climate Control Systems A Co-Founder of game developer Zynga, the Surna Inc. CEO entered the cannabis industry to take advantage of the expanding number of states with a need for cultivation facility technologies to improve their grow operations and yields. 71 Kris Krane Managing Partner, 4Front Advisors Consulting Kris has worked on the Policy and Advocacy side (NORML, SSDP) as well as the business side, Harborside Health Clinic, CannBe, editor at ArcView Market Research before becoming Founder and Managing Partner at 4Front Advisors, a medical cannabis dispensary consulting firm. 72 Betty Aldworth Executive Director Activist and Public Policy Ms. Aldworth has been involved in community outreach, public relations, advocacy, and policy reform as a consultant to cannabis-related businesses and nonprofit organizations. She served as spokesperson and advocacy director for Colorado’s successful Campaign to Regulate Marijuana Like Alcohol, the collaborative committee responsible for legalizing, taxing and regulating marijuana for adults in Colorado. Betty was the Deputy Director of NCIA in 2013, the organization’s largest year of growth, and she now heads Students for Sensible Drug Policy. 74 Norton Arbelaez Attorney & Founder, Medical Marijuana Industry Group (MMIG as of 1/1/14 MIG) and a Principle at RiverRock Public Policy, Legal, Medical Dispensary Mr. Arbelaez is a member of the Colorado Department of Revenue’s Medical Marijuana Advisory Board, the City of Denver’s Medical Marijuana Workgroup, and Governor Hickenlooper’s Amendment 64 Regulatory Workgroup. He founded MMIG in 2010. MMIG was founded as a medical marijuana trade association in 2010 to help protect and promote the Colorado medical marijuana regulatory framework, serve as a responsible resource for policy makers, and protect the rights of medical marijuana patients. 75 Mark Goldfogel Founder, C4EverSystems and Co-Founder MJ Freeway Payment Processing, Seed to Sale Software This former CEO of C4EverSystems began his cannabis industry career in 2010 after suffering a life-threatening bout of peritonitis and discovering cannabis’ potent anti-nausea and anti-spasmodic benefits. In 2013, he divested his equity in MJ Freeway to start C4EverSystems and is currently working on a marijuana documentary. 76 Peter Shumlin Governor of Vermont Democrat According to NORML, Gov. Peter Shumlin is one of three sitting governors in the last 40 years to aggressively support cannabis legal reform and the only current up and coming politician with national reach to push for the decriminalization of pot possession. Shumlin has signed off on research in the state to explore the possibility of legalization. His Administration is taking a serious look at the possibility of legalizing marijuana in Vermont and has contracted with the Rand Corporation, a nonprofit international research organization, to conduct a thorough investigation of the pros and cons of the issue for lawmakers to consider next winter. 77 Etienne Fontan Vice President and Co-owner, Berkely Patients Group Activist, Dispensary and Cultivation Fontan’s activist efforts began in 1993 as a director with the Cannabis Action Network, he traveled to most states speaking at rallies, teach-ins, and tours, while reaching out to the general public on all cannabis-related issues. His career in the medical cannabis industry started in 1999 first in California where he founded dispensaries in Berkeley, Los Angeles, West Hollywood, and in the state of Maine. Over the last ten years, he has helped build BPG into a leading medical cannabis dispensary, focusing on leading the emerging industry as it expands, evolves, and becomes more professional. 78 Hillary Clinton Former Secretary of State/Senator NY/First Lady Democrat Hillary Clinton is a former US Secretary of State, U.S. Senator and First Lady. As the projected 2016 Democratic nominee for the US President, Clinton has gone on record supporting state's legalization efforts as an incubator for possible federal policy changes in the future. Unlike her husband, she has gone on the record saying she has always abstained from using marijuana. 79 Genifer Murray President & Co-Founder, Cannlabs Inc. Lab Testing Services Since graduating from Colorado State University with a bachelor of science in microbiology Ms. Murray has been a busy advocate for the cannabis industry. In addition to founding Cannlabs, the longest running cannabis test lab in Co, she has also founded the Medical Cannabis Testing Coalition (MCTC) which helped develop analytical testing standards for the State. She also served on the task force for the implementation of Amendment 64. 80 James Gray Former Judge, Activist & Libertarian Party Vice Presidential Candidate Libertarian An American jurist by training, Gray believes that the Federal government has stood in the way of rescheduling of marijuana and has been on a pro legalization crusade to remove the monopoly imposed by the Drug Enforcement Administration (DEA) on licenses for the cultivation of medical-grade cannabis for research purposes. 81 Dean Petkanas Chairman & CEO, KannaLife Sciences Inc. Pharmaceutical Petkanas is a corporate finance and executive management professional with over 25 years of investment banking and capital markets experience. In August this year, KannaLife Sciences, Inc. Signs New License Agreement with National Institutes of Health (NIH) – Office of Technology Transfer ("NIH-OTT") for the Commercialization of U.S. Patent 6,630,507, "Cannabinoids as Antioxidants and Neuroprotectants" (the "'507 Patent"). This new license agreement provides the rights for the Company's development and sale of cannabinoid(s) and cannabidiol(s) based therapeutics as antioxidants. Americans for Safe Access board member Medical Dispensary, Public Policy Mr. Duncan is a co-founder and California Director of Americans for Safe Access (ASA), the nation’s leading medical cannabis patients’ advocacy organization. He works with lawmakers at all level of government to remove barriers to access to medical cannabis and expand patients’ rights. Mr. Duncan has played a leading role in the efforts to adopt legislation to protect and expand patients rights, and to preserve and better regulate medical cannabis cultivation and provision in California since 2008. He trains patients and other stakeholders and coordinates ASA’s state campaign. 84 Hillary Bricken Lawyer/Partner, Harris Moure Legal, Activist and Public Policy The bulk of Ms. Bricken's work is helping cannabis businesses navigate the increasingly confusing and murky legal climate surrounding Washington State medical and recreational cannabis laws. She represents business owners struggling with a myriad of problems in the industry. She has also been involved in IRS 280e tax reform which prohibits cannabis businesses from taking the same write-offs that other small businesses qualify for. Ms. Bricken represents the Cannabis Business Group, CBG is dedicated to implementing I-502 for cannabis producers, processors, and retailers. 85 Malcolm McKinnon aka "Dan Skye" Editorial Director, High Times Publishing Malcolm/Dan has been with High Times, the world's best known magazine covering the industry and culture for over 23 years. After a stint with the now defunct Hemp Times that advocated for the legalization of industrial hemp, he became Executive Editor of High Times. His work as both a writer and photographer and tireless coverage of what was purely a black market industry, he predicts California will fully legalize in 2016 and tip the scales to end prohibition. 86 Mason Tvert Communication's Director, MPP Activist, Public Policy, Lobbyist Mr. Tvert is known for his challenge to Colorado Governor Hickenlooper and Pete Coors to a contest to take a puff on a joint for every beer they drank to demonstrate the mantra that he, Steve Fox and MPP developed to raise the awareness of marijuana's effects versus the effects of alcohol. He is the founder of Safer Alternative For Enjoyable Recreation and current communications director for the Marijuana Policy Project Politico has called Tvert the "Don Draper of Pot" which also considers him to be one of the key reasons adult use legalization of marijuana in Colorado occurred. Mr. Tvert is the High Times Freedom Fighter of the Year 2012. 88 Dale Gieringer, Ph.D Director, California NORML Public Policy, Activist Dale has been involved with California NORML for the last 27 years. He is a NORML Lester Grinspoon Award recipient and the High Times Freedom Fighter of the Year 2010. 89 Rachel Gillette, Esq. Executive Director, Colorado NORML, Attorney Legal, Public Policy, Activist Since beginning her cannabis related practice in 2010, Ms. Gillette has represented clients to navigate the licensing process, and businesses contending with the IRS application of 280E. She is also Co-Chair of the Coalition for Drug Testing Policy Reform and is committed to ending the prohibition of cannabis at the national level and ensuring state licensed marijuana businesses are fairly taxed at both the state and federal level. 90 Dan Humiston Co-Founder & CEO, International Cannabis Association (ICA) Association, Live Events The former Tanning Bed chain owner and Republican Congressional candidate from NY launched the ICA in 2014 to help those who wanted to join the industry realize their entrepreneurial dreams. Democrat Mr. Clark, 86, now long since retired, has been an activist, lawyer and public servant as Attorney General under Lyndon Johnson. He was an outspoken proponent of the War on Drugs and more sensible policies and a mentor to Keith Stroup, the founder of NORML. 92 Vivian McPeak Co-Founder & Executive Director, Seattle Hempfest, Activist, Musician Public Policy This list would not be complete without Mr. McPeak who has spent the the bulk of his life fighting for marijuana policy reform. He co-founded Seattle Hempfest which began in 1991 as a small gathering of stoners and has grown into one of the most sophisticated cannabis policy reform events in the world. Democrat The former Congressman from Rhode Island and the son of former Senator Ted Kennedy, is a member of this bipartisan organization comprised of medical doctors, lawmakers, treatment providers, preventionists, teachers, law enforcement officers and others who seek a middle road between incarceration and legalization. 94 Terry Branstad Governor of Iowa Republican Signed into law Iowa's Senate File 2360, legalizing one form of medical marijuana, The drug is only legal in the form of cannabis oil, a non-smoking product of marijuana with low doses of THC, the component that causes a high. Only those with intractable epilepsy will be eligible to use the drug, a type in which the patient does not respond to medication meant to alleviate seizures. 95 Sheldon Adelson Chairman and CEO, Las Vegas Sands Corporation Republican Activist This billionaire casino magnate bank rolled the opposition to Florida's Amendment 2 which would have legalized medical marijuana in the state. A super majority of 60% was required for passage and Adelson's financial support led to the Amendment's defeat by a narrow margin. 96 John Morgan Attorney, Florida Democratic Activist Led the charge funding the "Vote Yes on Amendment 2"
campaign to legalize medical marijuana in Florida which was narrowly defeated. Morgan was said to have contributed over $4 million to the cause. 97 Cheryl Shuman CEO, Cheryl Shuman Inc. , Beverly Hills Cannabis Club Founder, Moms For Marijuana Exec Director Activist, Publicist, Entrepreneur Known as the “Martha Stewart of Marijuana”, Cheryl now manages a $100 million funding facility to invest in the cannabis sector as well as a personal endorsement contracts with ancillary products in the cannabis industry. In a short time, Cheryl has secured product placements for products in FX”s Wilfred, CBS News, The New Ricki Lake Show, and more. Shuman lectures internationally about everything from seed to sale of the Cannabis Plant and is currently working with the prestigious William Morris Endeavor Agency in Beverly Hills for film, television, book and lecturing deals. 98 Dennis Peron Owner, Cannabis Buyers Club Activist, Entrepreneur Dennis Peron, co-founder of the Cannabis Buyers Club in San Francisco, has a long history fighting for the decriminalization of marijuana use. Starting as a seller in the Bay Area in the 1970s, he then shifted into the political realm, writing three famous bills, Proposition W, Proposition P and Proposition 215. In 1995, Peron opened Cannabis Buyers Club, San Francisco’s first medical marijuana clinic and in 1996 he was the Grassroots Party’s first U.S. Presidential nominee. In 1998, he also ran in the Republican primary for California governor. 99 Michael Botticelli Acting Director of the White House Office of National Drug Control Policy (ONDCP) Democrat A recovered alcoholic, Botticelli took over as Acting Director in March of 2014. His track record indicates a strong preference for education and rehabilitation Recently, during an interview with NPR, his position as Acting Director was summarized by this response. " So this administration has never clung to a war on drugs approach and has never used that phrase in our rhetoric. And so I do think that under the Obama administration and with my nomination to this job, I think it's a continual evolution and acknowledgment that we need to deal with addiction and drug use as a public health issue and that, you know, we need a more compassionate and humane criminal justice response to this issue." 100 Mike Correia Director of Government Relations, National Cannabis Industry Association Lobbyist A 16 year policy veteran and DC insider, Mr. Correia heads-up the cannabis industry's lobbying efforts on Capital Hill. His efforts have led to increased access to federal policy makers and regulators in the nation's capital. Copyright ©2014 CBE PRESS LLC. – All rights reserved. Cannabis Business Executive is a Trademark of CBE PRESS LLC.